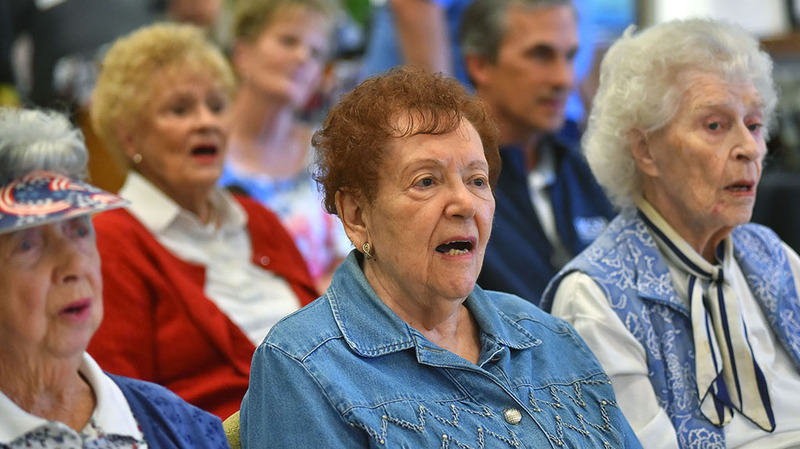 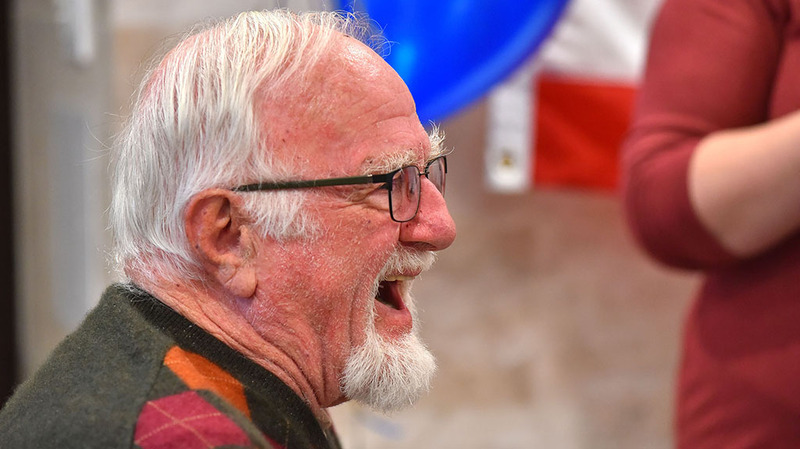 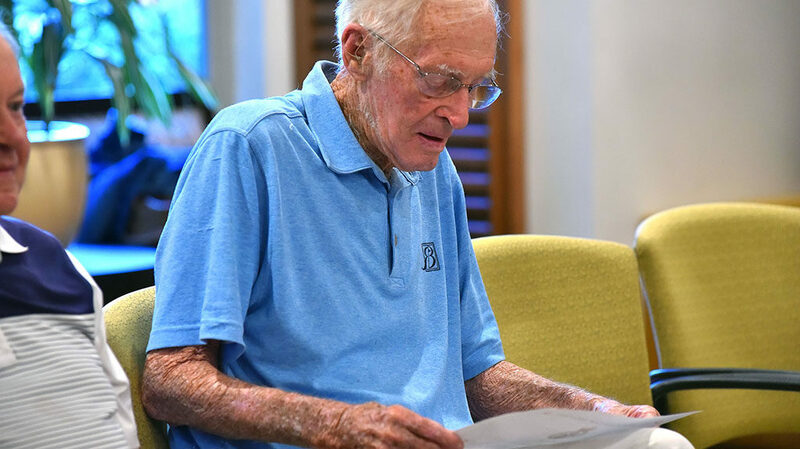 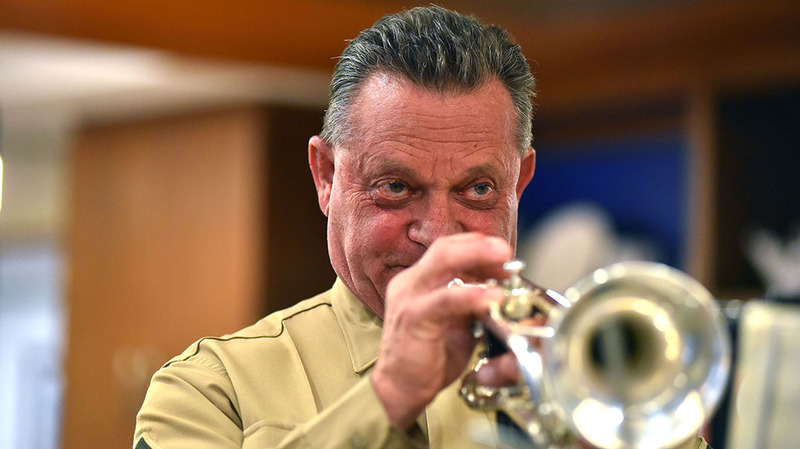 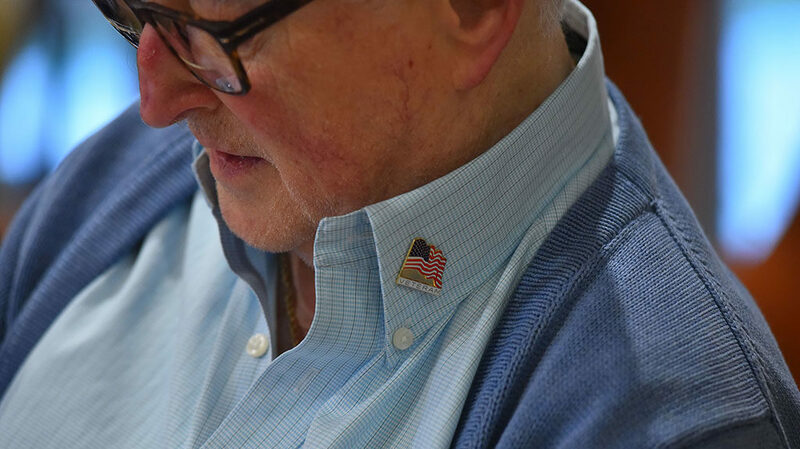 Robert Doyle, an 89-year-old veteran of World War II, listened to a bugler play taps and a patriotic poem read Friday at a University City senior living community. 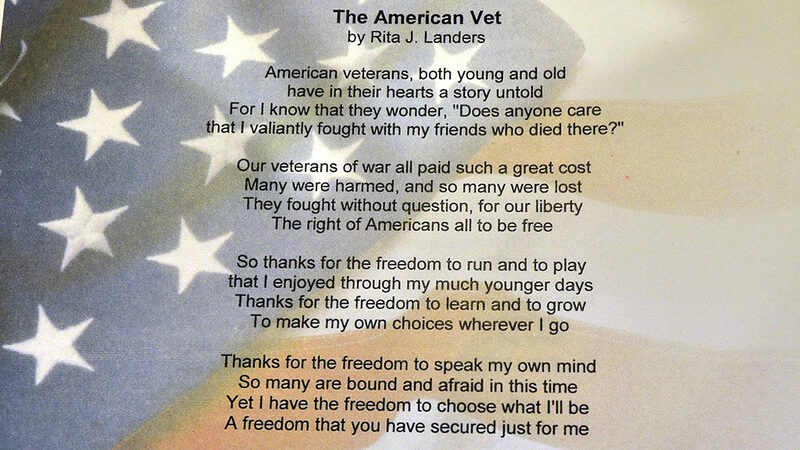 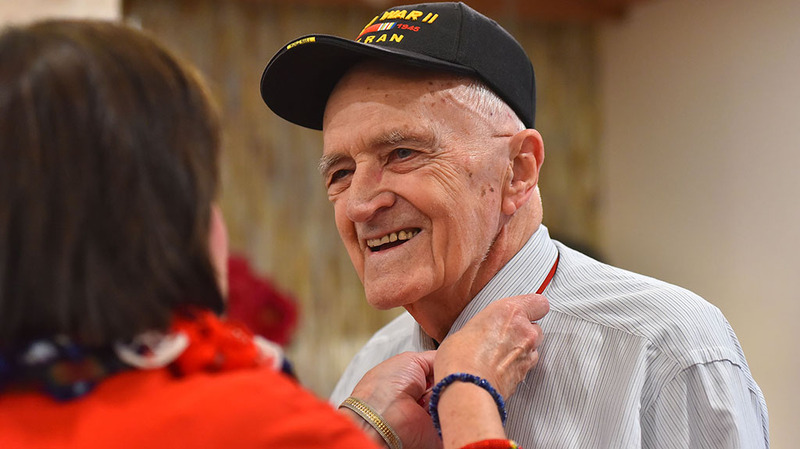 His memory drifted back to the early 1940s when asked what Veterans Day meant to him. 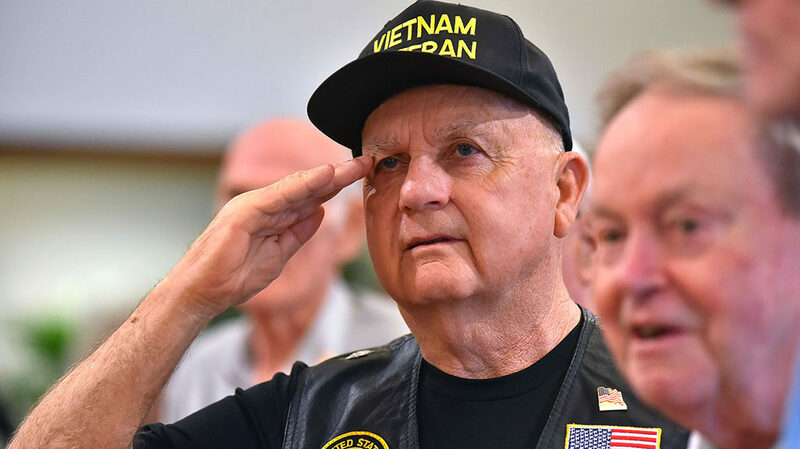 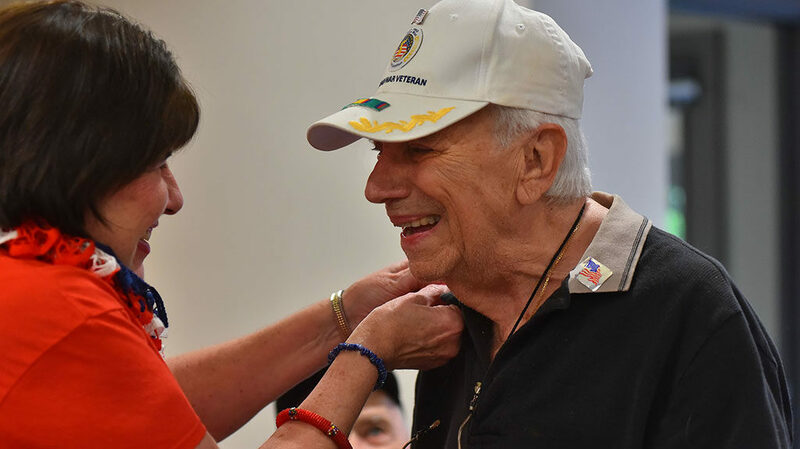 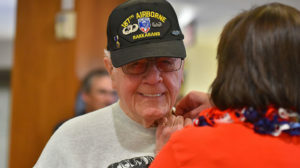 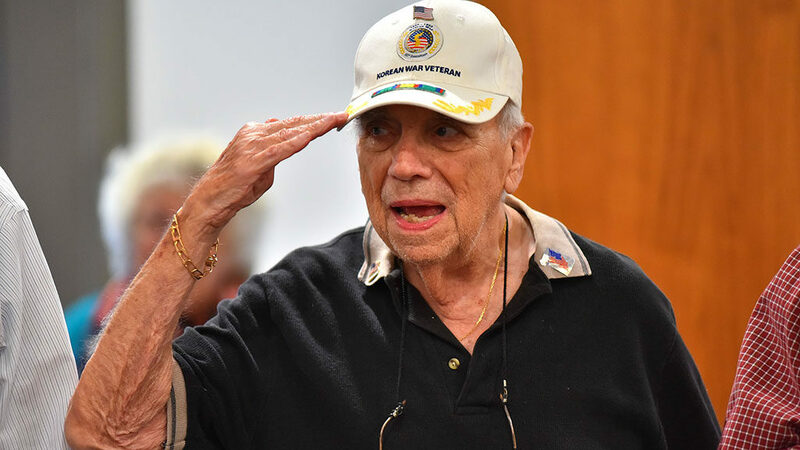 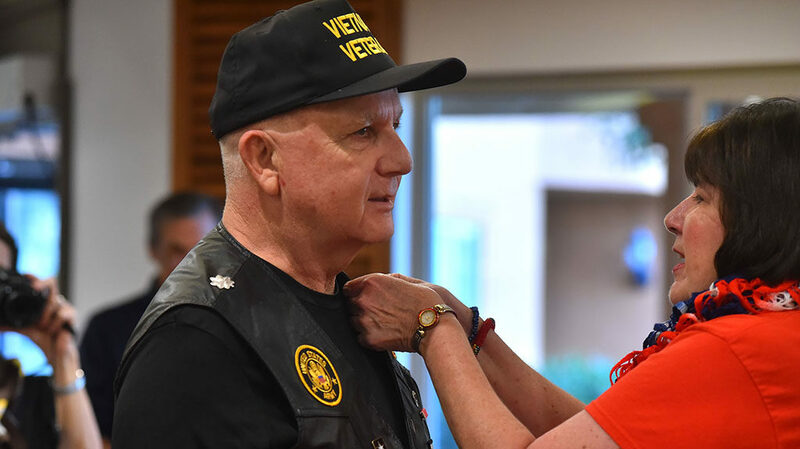 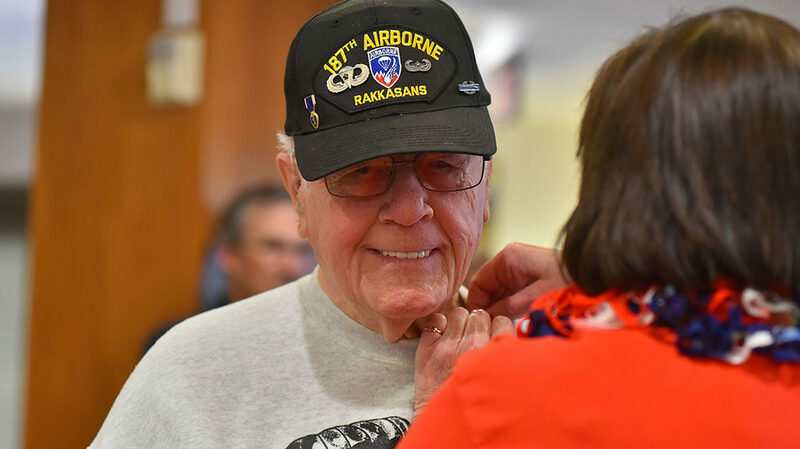 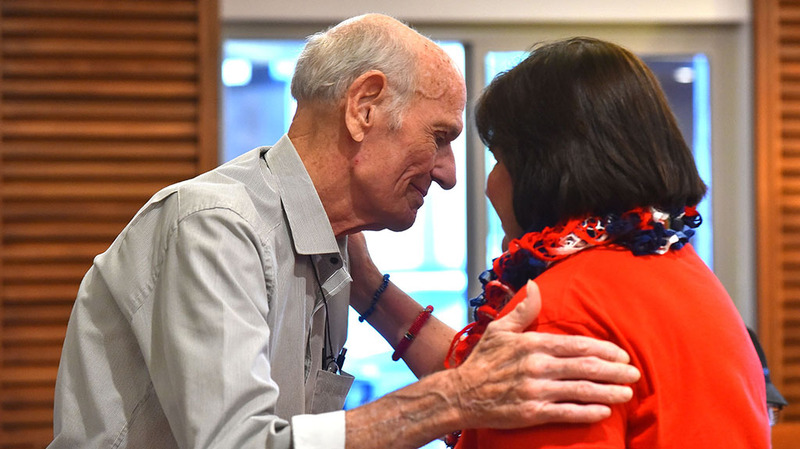 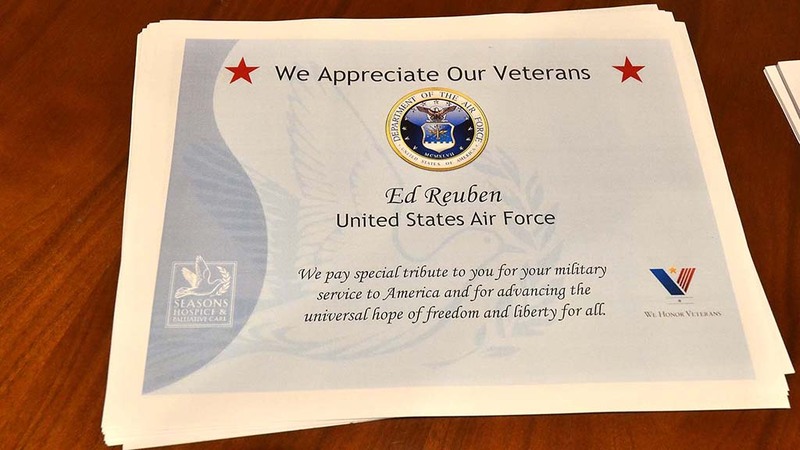 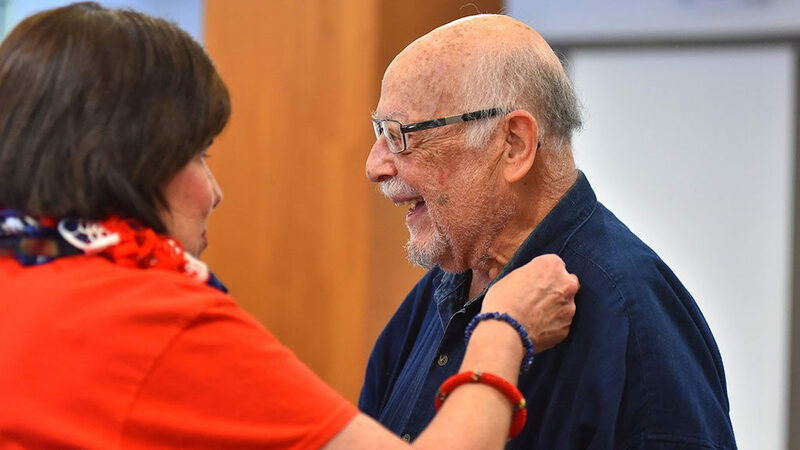 “The greatest achievement of my life,” he said after a pinning ceremony at The Patrician — where he was among 14 military service veterans presented an American flag pin with “Veteran” inscribed. 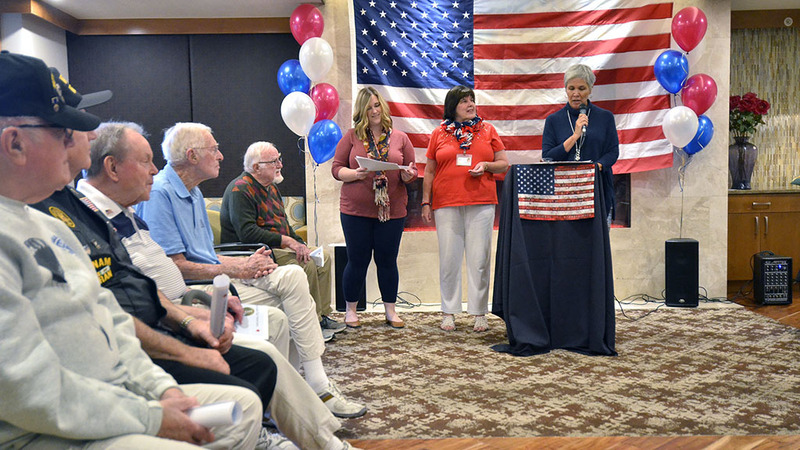 Spouses and residents also attended the ceremony put on by the San Diego branch of Seasons Hospice & Palliative Care. 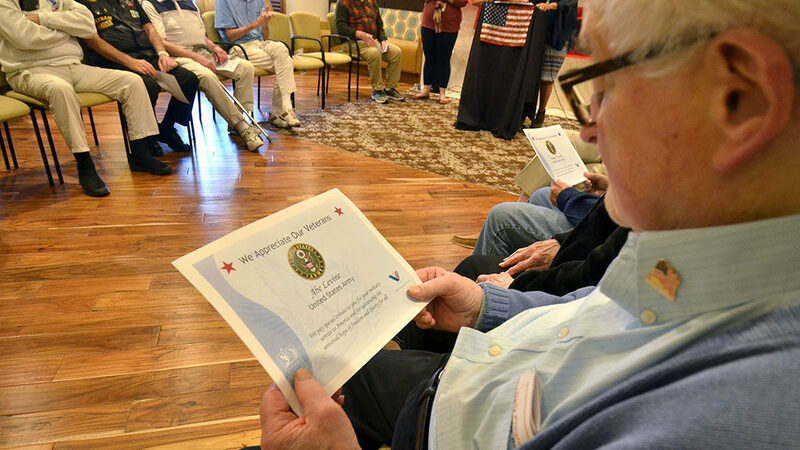 “This piece is what’s so precious to us,” said former chaplain Michelle Tiernan, a community educator for Seasons. 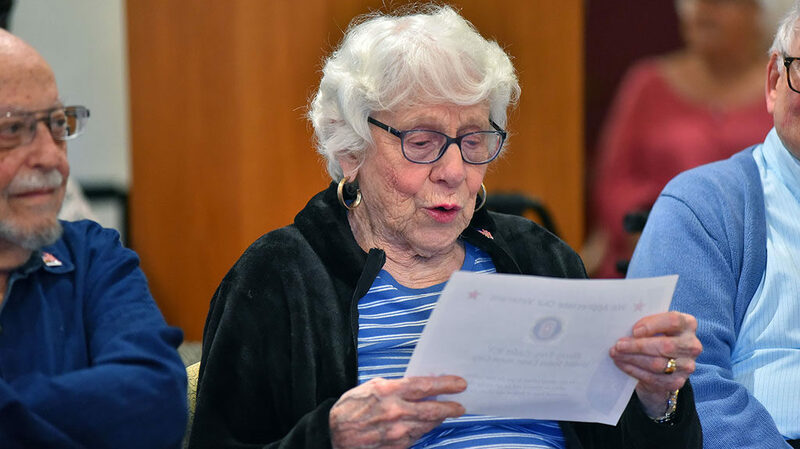 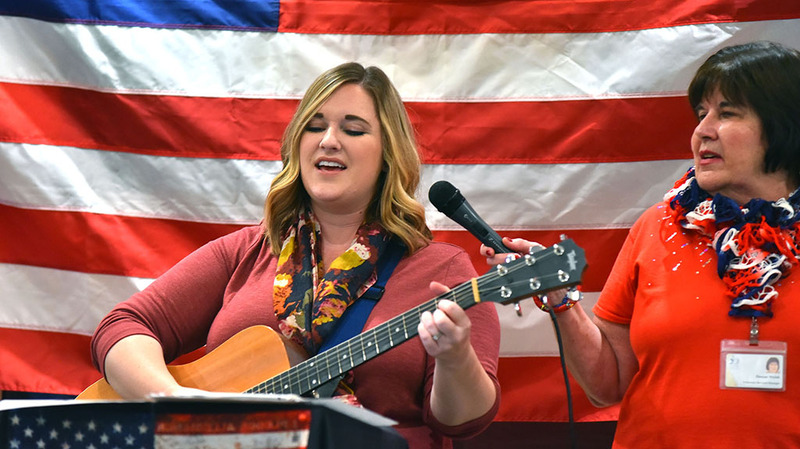 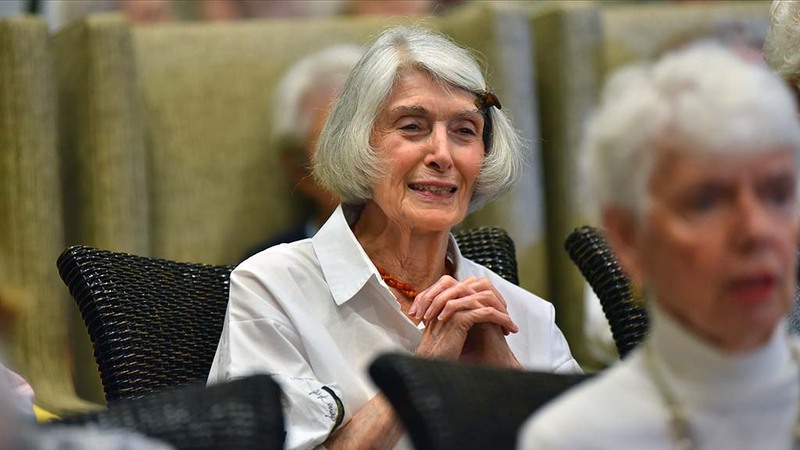 She said the National Hospice and Palliative Care Organization has a program called We Honor Veterans, and Seasons has put on eight of these programs locally in the past week. 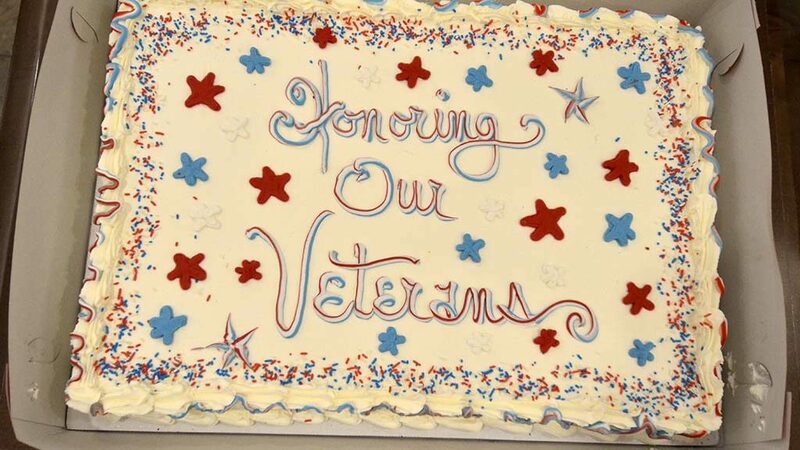 Cake, cocktails and hors d’oeuvres were served afterward.